There are lots of weather apps are available for android but only few are good ones. That’s why we picked the top 3 from the playstore. 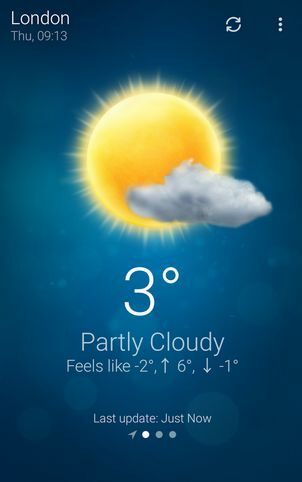 Please check below for the best 3 weather apps for Android. 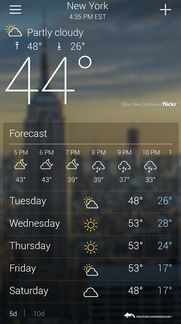 Yahoo Weather is a free weather app from Yahoo and it is available for free. It offers hourly, 5-day, and 10-day forecasts with changing background Flickr photos match your location, time of day, and current conditions. It shows some useful weather details like wind, pressure, animated sunrise, sunset, radar maps, satellite maps, heat, and snow. You can add upto 20 cities in this app. AccuWeather is also a free weather app but it also provides in-app purchases.It is also supporting Android Wear. 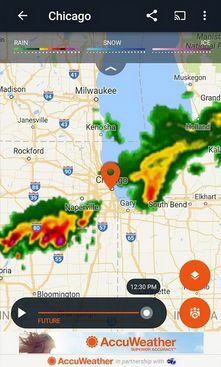 This weather app provides AccuWeather MinuteCast feature. it is a minute-by-minute precipitation forecast, hyper-localized to your exact street address. It forecasts snow, ice, rain, wind, or the probability of thunderstorms and with a brief summary. 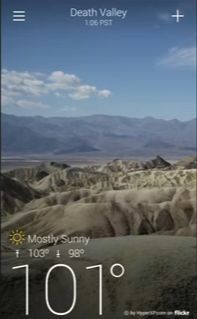 Weather is a free with in-app purchase weather app from Macropinch. 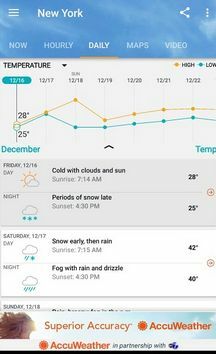 This app looks siple but it provides gorgeously animated weather status.It uses Weather Underground as a data channel. 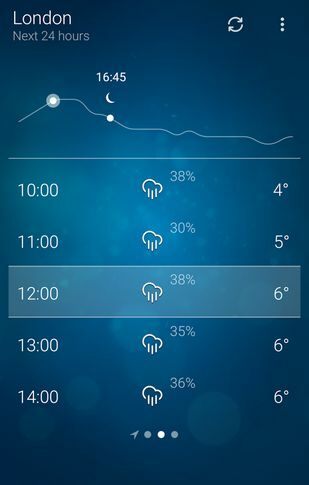 It finds your location by using geo-positioning and shows the latest weather conditions for your current location. You can also add the location manually in this app.